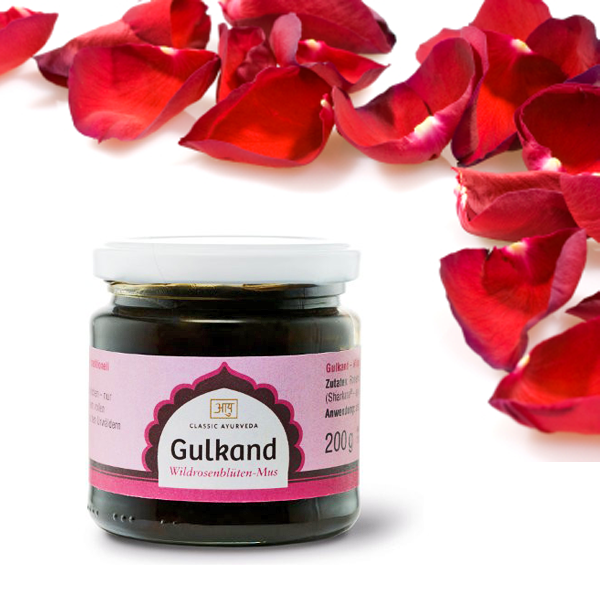 Gulkand, is a sweet preserve of rose petals from the Indian subcontinent. 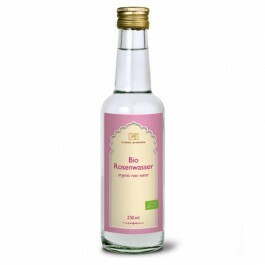 It is a lovely, very tasty wild rose petal sauce, made with fragrant rose petals and sugarcane. The petals are collected in the forests of Western India from local pickers. Because they are not cooked, the valuable ingredients and aromas of roses remain largely intact. Our rich red Rose Petal Sauce adds a sweet romantic nuance to the simplest of treats. 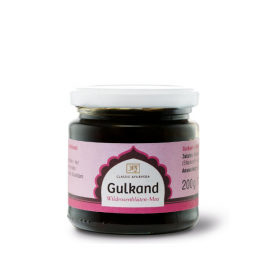 Spread it on toast ... serve as a topping for desserts or hors d’oeuvres ... enjoy with fresh fruit ... combine with warm milk for a soothing, delicious bedtime drink — no matter which way you choose to enjoy it, Gulkand Wild Rose Sauce is sure to please. According to Ayurveda, rose petals help to balance the Pitta dosha. Therefore, Gulkand wild rose petal sauce is especially recommended to enjoy on "hot days" or whenever the Pitta is increased. 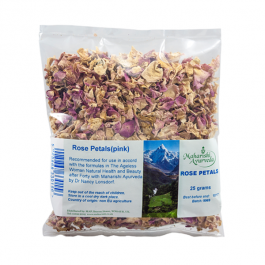 Rose petals are considered cooling in Ayurveda, and therefore excellent for balancing Pitta. Rose petals are said to have a soothing effect on the physiology. Rose petals are said to contribute the sweet, pungent, bitter and astringent tastes. According to Ayurveda, rose petals help to balance the Pitta dosha. Therefore, Gulkand wild rose petal sauce is especially recommended to enjoy on "hot days" or whenever Pitta is increased.